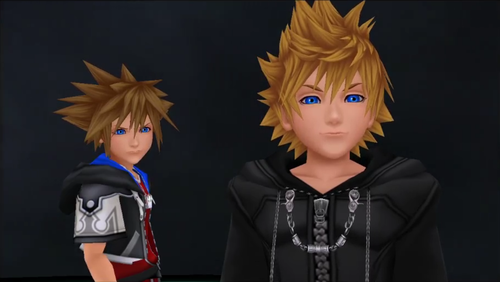 KH2.5 KH2FM Screenshot. 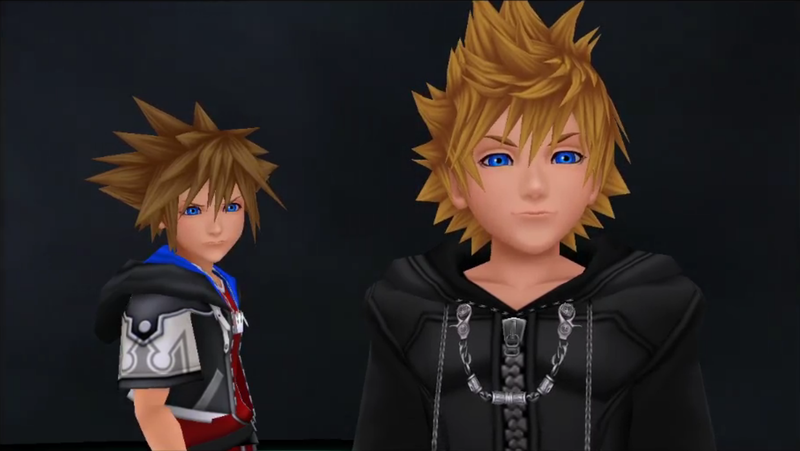 Sora V Roxas. HD Wallpaper and background images in the किंग्डम हार्ट्स club tagged: photo sora roxas. This किंग्डम हार्ट्स photo contains अच्छी तरह से तैयार व्यक्ति, सूट, पैंट सूट, pantsuit, पैंट्सट, and अच्छी तरह से कपड़े पहने व्यक्ति. There might also be ऊपर का कपड़ा, overclothes, ऊपरी वस्त्र, ओवरक्लाइट, बॉक्स कोट, hip boot, and thigh boot.